Rent villas and apartments in Saint-Paul-de-Vence, the South of France with private pools. This charming house with a special atmosphere is welcoming you to a well deserved vacation in a famous village and artist's colony. It's hard to know where to begin talking about everything that Le Mas de Saint Paul has to offer...This spacious and comfortable family home set in a quiet. To enjoy the beautiful sun of the Côte d'Azur, this holiday apartment will be perfect! 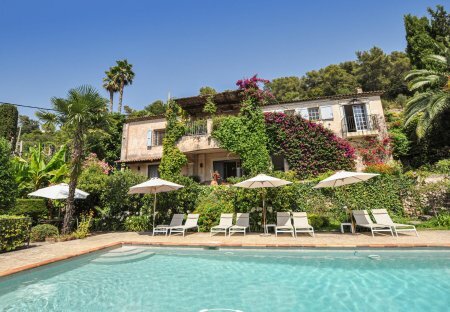 Located 19km away from Nice, Saint Paul de Vence.